Usually, people don't want to hear the word "cutting" around a school. But on Monday, May 23rd, it was for a good cause. Ten students, three staff members, and two moms donated their hair to Locks of Love and Pantene Beautiful Lengths--organizations that provide wigs to people with hair loss. Hair dressers and Van Gogh moms Sandra Fein and Otilia Hernandez worked their way through the group, first measuring and cutting off the pony tails, then smoothing out the remaining hair into a simple style. From fifth graders a month short of their graduation down to the smallest kindergarten and first grade students, a cheer erupted from the crowd of students watching the event during their lunch hour. One girl, who stayed home sick, managed to cut her ponytail at home and brought it in before school. The loudest cheers went to Aidan Morrison, the lone boy, and to the teachers--Romelia Valiquette, Lisa Gee, and Alma Murillo. Other students donating included Samantha Mejia, Mackenzy Iwahashi, Zoe Rodriguez, Christina Valiquette, Analisa Valiquette, Samantha Murillo, Jessica Shandling, Amerie Gallegos, and Ariana Mariquez. Moms donating were Tin Lai Wong and Angel Zobel-Rodriguez. Van Gogh hopes to make this an annual event. Events like these make me proud to be a Van Gogh Parent! Great job! 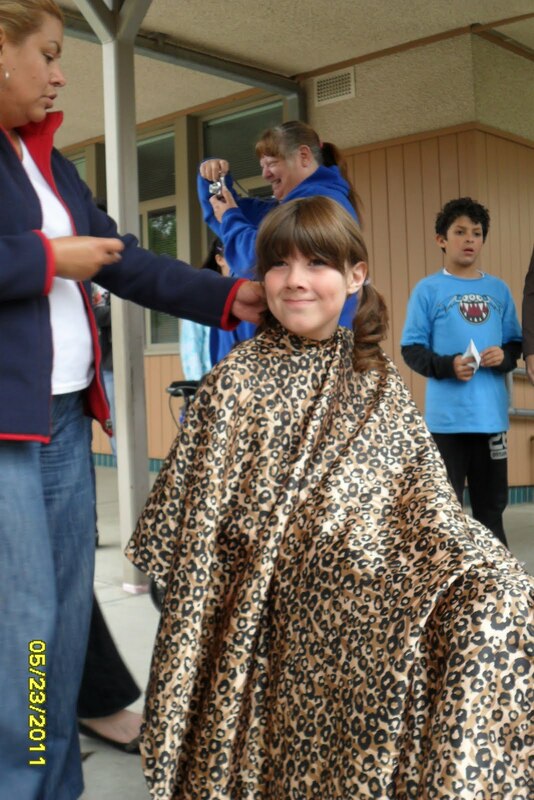 My daughter donated her hair a few years ago to locks of love also! I told her I'm the one that needed it (MPB) but she just laughed! 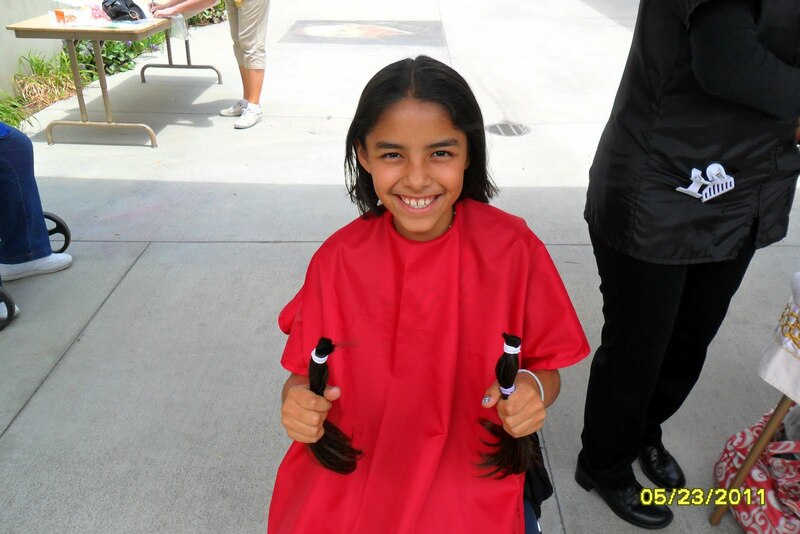 Locks of Love does not donate hair. They sell the hair and make a profit. Wigs do not go to cancer patients but are sold to children with alopecia.